Europass – What is its Purpose? Are you considering working abroad? Have you encountered the term "Europass" in your job search? What is Europass actually? How can you use it? Europass is a set of certificates proving your education, professional qualifications, experience, abilities, competencies and skills. 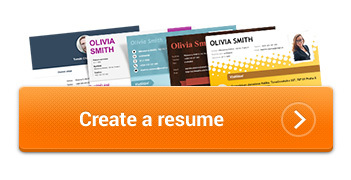 Get acquainted with the European sample CV! It is suitable for you if you are applying for studies or jobs in the Member States of the European Union. ....and other documents to prove your competencies, such as diplomas, certificates, etc. We have already discussed how to write a CVif you are applying for a job in your home country. A CV which is suitable for the Europass does not differ a lot. Therefore, you may also apply our advice and tips to creating a Europass CV. A Europass CV is structured, too; it should be accurate and well-arranged, though a little bit more extensive when compared to an ordinary CV. The Europass CV is available in all the languages of the European Union and you should have it in an electronic form to be able to upload it into a computer or an external device (flash disk) and update and modify it at any time. Tip: Don’t enter unnecessary data into your Europass CV on the basis of which your employer could discriminate against you. Such data include, for instance, your date of birth, religion, number of children, etc. Remember that the employer should not be interested in such information at all unless it is required by the position you are applying for. To put it simply, if you want to be a Roman Catholic Priest, the question about your religion is all right. In other cases, the employer must not ask about it. The best way to create a Europass is to use a generator, which is available at europass.cedefop.europa.eu/editors. Of course, this website will also enable you to create a European Skills Passport. This is a file you may create online. It contains the Europass documents: a Language Passport, a Europass Mobility, a Certificate Supplement and a Diploma Supplement. Besides this, it contains your other diplomas, certificates and professional competence certificates. Just the same as the CV, the European Skills Passport should be in an electronic form in order to be shared and updated easily. If there is a suitable opportunity, such as an interview, you may get the relevant documents from the electronic file easily to prove your knowledge and skills on the spot. If you have previous experience with professional practice or studies abroad, collectively referred to as a European internship, you may prove it through the so-called Europass Mobility. It is used to inform your future employers or schools about your international experience. The Europass Mobility is completed by the organization at which you completed an internship, e.g. a school or the organization which hosted you. Naturally, you may ask for the certificate immediately after you have completed your internship; however, you can also ask for it retroactively. You can find clear instructions on how to proceed when requesting a Europass Mobility at http://www.europass.cz/mobilita/. This document proves your qualifications acquired by studying at a secondary or secondary vocational school. You don’t pay anything for this certificate; it is issued free of charge. The purpose of this Supplement is to facilitate your international as well as in-country employers‘ understanding and acceptance of your certificates of studies because they can easily read in the Supplement what competencies and education you have acquired during your studies. Instructions on how to get this certificate may be found at http://www.europass.cz/dodatek-k-osvedceni/. This document is similar to the Certificate Supplement. The only difference is that it is issued to supplement a diploma acquired by studying at a university. A Diploma Supplement may be obtained free of charge as well. The process of its acquisition is described at http://www.europass.cz/dodatek-k-diplomu/.